This is an institution that houses children who have been abandoned, abused, etc. The Rotary Club of Belize over the years has been working with this institution providing whatever support needed. Support for this facility has come in the form of improving the infrastructure of the building. 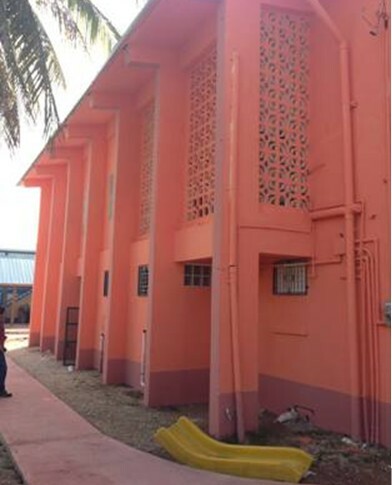 Most recently, we refurbished the girls’ dormitory which was the third phase of improvements to this facility. On-going projects include new beds, new mattresses, industrial washing machines and any other need that may arise. Through our fund raising efforts we are able to provide the support needed, but we welcome any form of support from Rotary clubs and friends who can assist. We are grateful to the Wagner foundation, the Rotary Club of Dunedin, Dunedin Methodist Church, John Crothers, Rotarian Jim Scott, who, over the years have provided immense support to the institution.